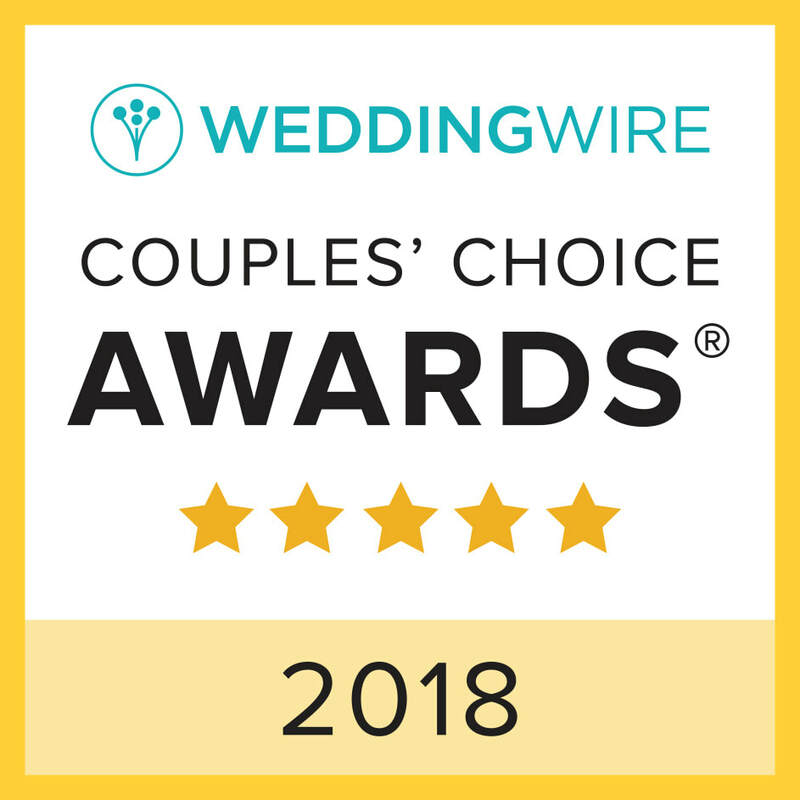 We have received our third straight WeddingWire Couples Choice award! It's given to only the top five percent of Wedding Vendors is the massive WeddingWire system, and it is completely based upon our reviews from our clients last year! Thank you so much to all clients that left reviews, we are so grateful to you! Woohoo! Back to back people's champs! Once again, we are proud to announce that we have been given WeddingWire's Couples Choice Award for 2017! This award is given to only the top five percent of Wedding Vendors in the huge WeddingWire database nationwide. It is based on the strength and consistency of our client feedback, so thank you to all of our wonderful past clients for their kind words! ﻿We are thrilled to announce that we have earned WeddingWire's Couples Choice Award for 2016! This award is given to only the top five percent of Wedding Vendors in the huge WeddingWire database nationwide. It is based on the strength and consistency of our client feedback, so thank you to all of our wonderful past clients for their kind words!